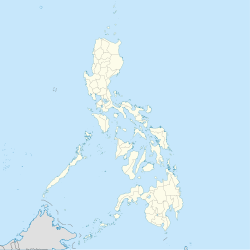 Kabuntalan, officially the Municipality of Kabuntalan, is a 5th class municipality in the province of Maguindanao, Philippines. According to the 2015 census, it has a population of 17,276 people. It is formerly known as Tumbao. The town was part of the province of Shariff Kabunsuan from October 2006 until its nullification by the Supreme Court in July 2008. ^ "Kabuntalan, Maguindanao : Average Temperatures and Rainfall". Meteoblue. Retrieved 19 January 2019.